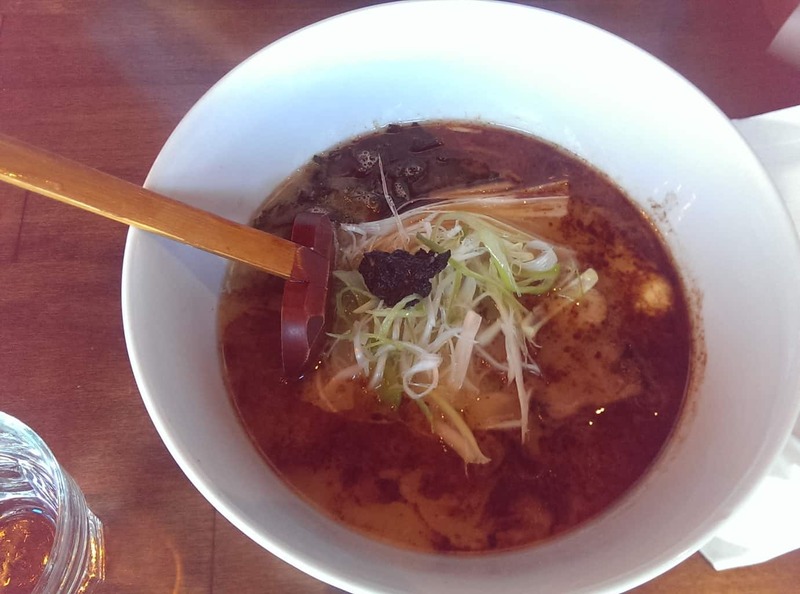 With only so many ramen places in the city (Menyatai, Shikiji, Muku), it is hard to miss out on Shiki Menya! 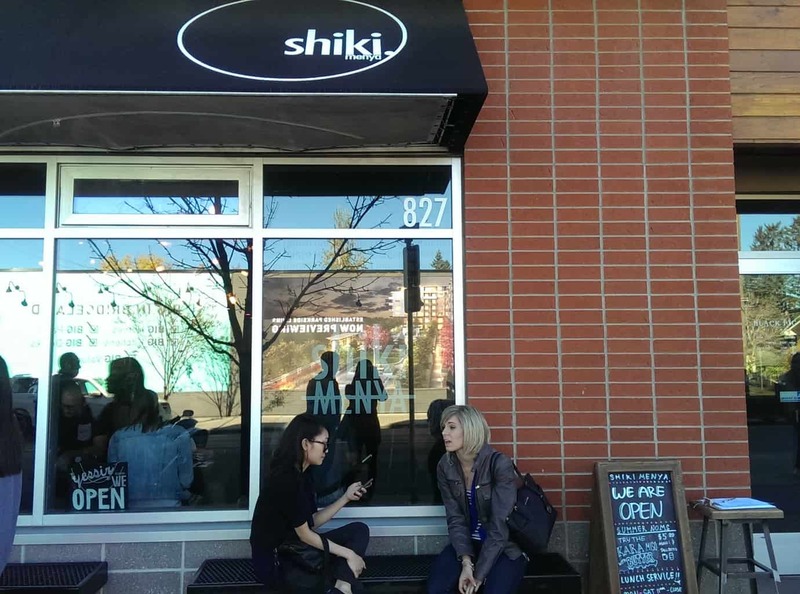 Claiming that they make everything from scratch and serve limited quantities of ramen daily, Shiki Menya is drawing crowds to dine at its young, hip noodle house. Arrived slightly before noon on a Friday, lines of anxious diners were already waiting outside. We signed ourselves on the clipboard and patiently waited for tables to be freed up. Luckily it wasn’t too chilly outside, 30 mins didn’t feel that much of a wait. 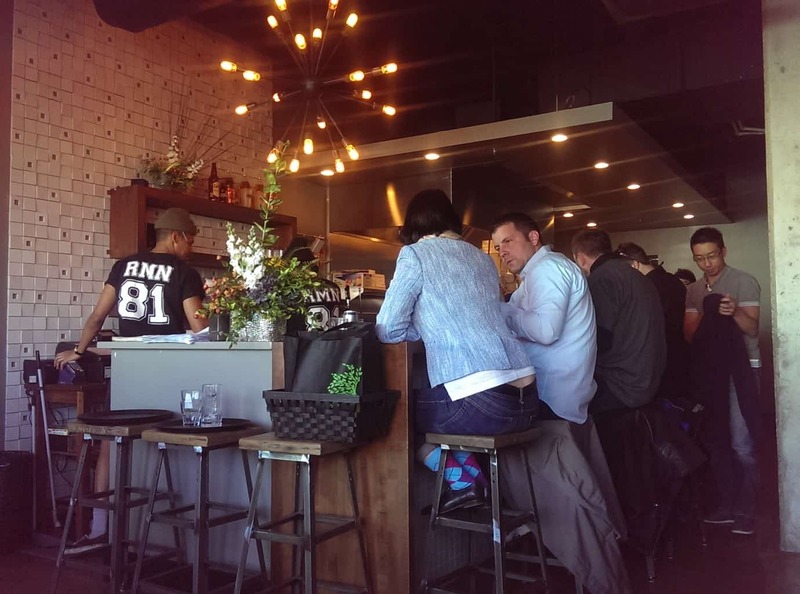 The place had a modern, young vibe. On the one side, the wall was decorated with cartoon paintings and skateboards. 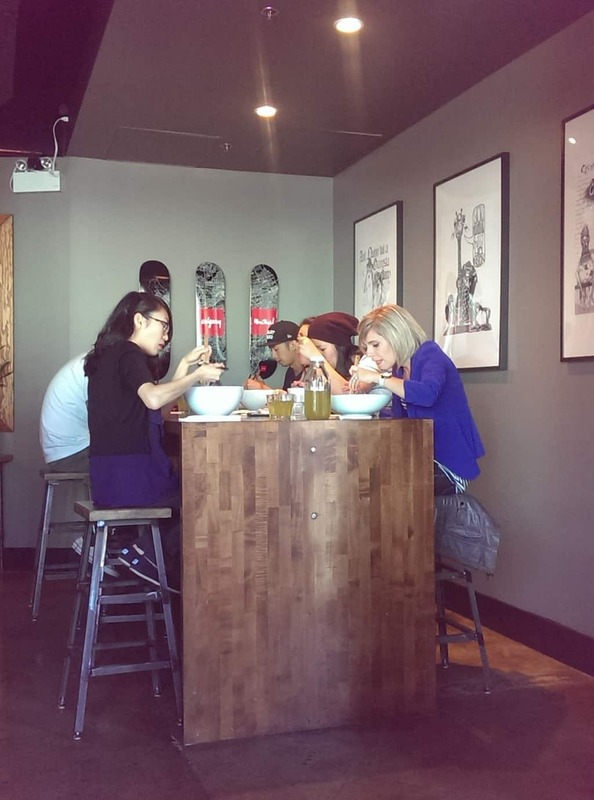 On the other end, the chalk board recorded how many bowls have been served throughout the day. The closing time is variable, dependent on how soon they sell out the limited quantity. 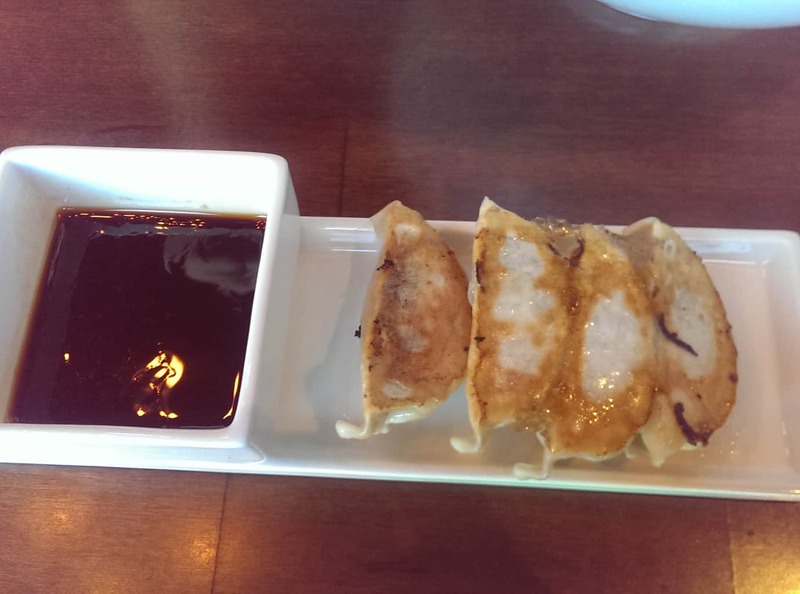 Coming up first was the gyoza ($4 for 4 pcs). They were pretty ordinary. Not worth the money. I could make better ones at home with the frozen pre-made pot stickers I bought from T&T. 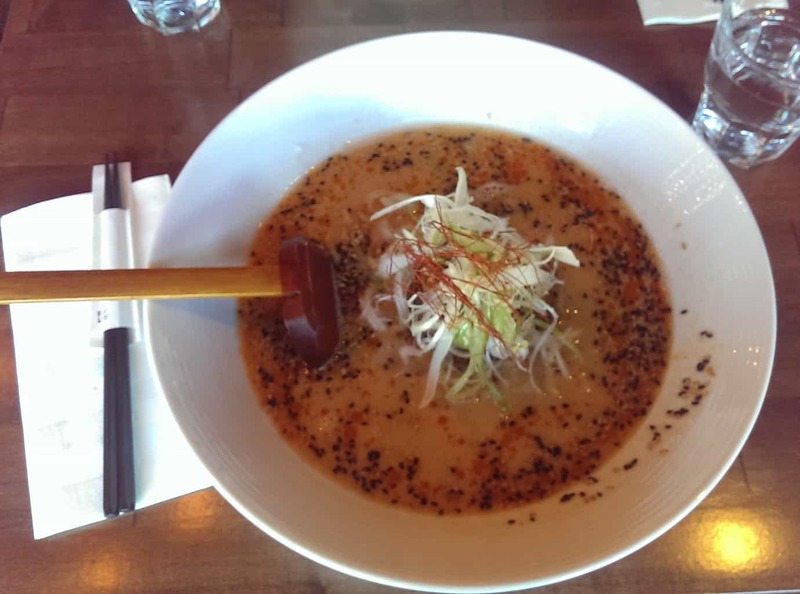 Next was the chili goma ($14), which according to the staff, was their best-seller. Their broth was made with local, quality ingredients, boiled up to 16 hours. This created rich, creamy, buttery pork-based broth with a bit of spicy kick and aromatic sesame taste. The flavorful minced pork was the highlight, reminding me of the Szechwan dan dan noodles. However, the thin house-made noodles let me down. They just weren’t springy and chewy enough. Kev’s tonkatsu black ($14) had a milder yet slightly saltier soup base. The bowl was packed with bamboo shoots, soft egg and fatty cha siu. Again, the noodles did not meet the expectation. Overall, it was an acceptable meal. Nothing impressive, nothing stood out. With this quality, I would be reluctant to come back again.